The Washington Wizards will take on the Sacramento Kings tomorrow at 10:00 PM Eastern time. They are looking to regroup from a 122-144 loss to the Golden State Warriors. The Wizards have started off slow with a 1-3 record during the first week of the season but they will look to regroup. The Sacramento Kings, on the other hand, will look to get back to .500 Friday night when they host the Wizards. They are coming off of a 97-92 home win over the Memphis Grizzlies that took place on Wednesday. Buddy Hield led the way in scoring and De’Aaron Fox was also a very solid contributor that night. He put up 21 points, eight rebounds, and six assists in 37 minutes of play. 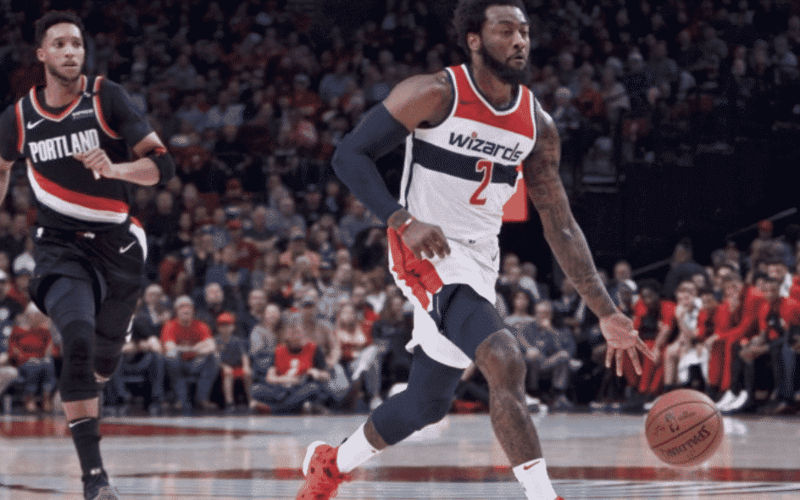 Washington (1-3) fell to 1-1 on a five-game road swing against Western Conference opponents after being run out of Oracle Arena 144-122 by reigning champion Golden State on Wednesday night. Bradley Beal played through a bruised sternum and scored 23 points to lead six players in double figures, but neither he nor his Wizards teammates had any answers for Stephen Curry, who torched them for 11 3-pointers and 51 points before sitting out the fourth quarter. Even the Wizards head coach, Scott Brooks had no idea how Curry got hot. Washington allowed Golden State to shoot 57.6 percent, and the 45 points in transition given up were the second-most in franchise history behind the 53 yielded to Phoenix on March 7, 2017. It was also tied for the 10th-most fast break points in any NBA game since the start of the 2000-01 season. They will look to regroup and rebound from this awful display tomorrow night. Kelly Oubre has also had a very good start to the road trip. He has put up 39 points in the last two games and has been a huge contributor off the bench. The small forward and sixth man has made 6 of 9 shots from 3-point range and 14 of 23 overall in helping Washington split the contests. However, John Wall has not had a great start so far. He has struggled from beyond the arc and gone 2 for 17 from 3-point range to start the season. But John does have a great history against Sacramento. He has averaged 21.0 points and 10.3 assists while hitting 11 of 17 from 3-point range in Washington’s current four-game winning streak over Sacramento. He did have a triple-double in one of those victories, but it was not one worth publicizing as he had 11 turnovers to go with 19 points and 11 assists in a 101-95 overtime victory in the 2016-17 season. Will Troy Brown and Thomas Bryant get more chances? Hopefully, yes. There are many reasons why both should be playing. Troy Brown showed his alertness in the passing lanes and showed that he is full of energy. He posted excellent numbers in the summer league and he has also shown that he is a good ball handler. Thomas Bryant looks like a modern day big. He can finish in the paint, he attempts threes, and he can protect the rim. These are all things the rest of the Wizards big men lack apart from Dwight, who is currently sitting out with an injury to the piriformis. If Bryant makes the most out of the chances he is getting, you could see his playing time increase.